The right to vote is a fundamental right inherent in the U.S. Constitution and all state constitutions. Most scholarship on this right focuses on only federal or state law and omits discussion about how local law may also confer this right. 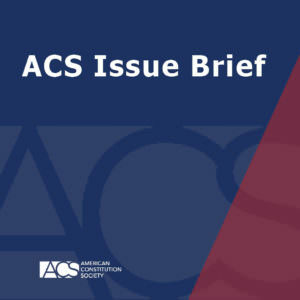 In his new Issue Brief, “Expanding Voting Rights Through Local Law,” Professor Joshua A. Douglas of the University of Kentucky explores how cities and towns across the country are expanding the right to vote in municipal elections to include sixteen- and seventeen-year-olds, noncitizens, nonresident property owners, and others. He argues that municipalities can serve as “test tubes of democracy” that may experiment with different voting rules, and these expansions can then spread to other municipalities and even up to states or Congress. Douglas concludes that when examining these local laws, courts should defer to those that expand the franchise, while training a more skeptical eye on laws that restrict voter access.